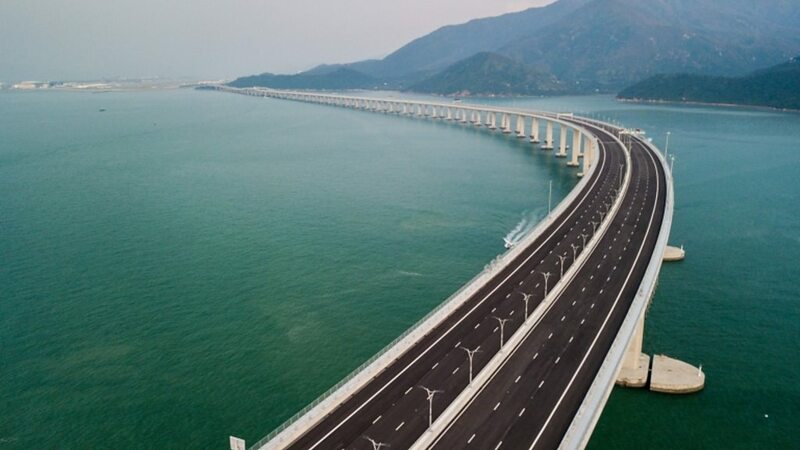 Media playback is unsupported on your device Media caption Flying over the world's longest sea bridgeChinese President Xi Jinping has officially opened the world's longest sea crossing bridge, nine years after construction first began. The bridge cost about $20bn (£15.3bn) and should have opened in 2016. Mr Xi attended the opening ceremony of the bridge, which took place in Zhuhai, along with the leaders of Hong Kong and Macau. It is part of China's plan to create a Greater Bay Area, including Hong Kong, Macau and nine other cities in southern China. Others have said its main purpose is symbolic, ensuring Hong Kong is physically connected to the mainland.